Pete the Cat is back - and this time he's at school! But wherever Pete is, he's always singing his song... because it's all good. 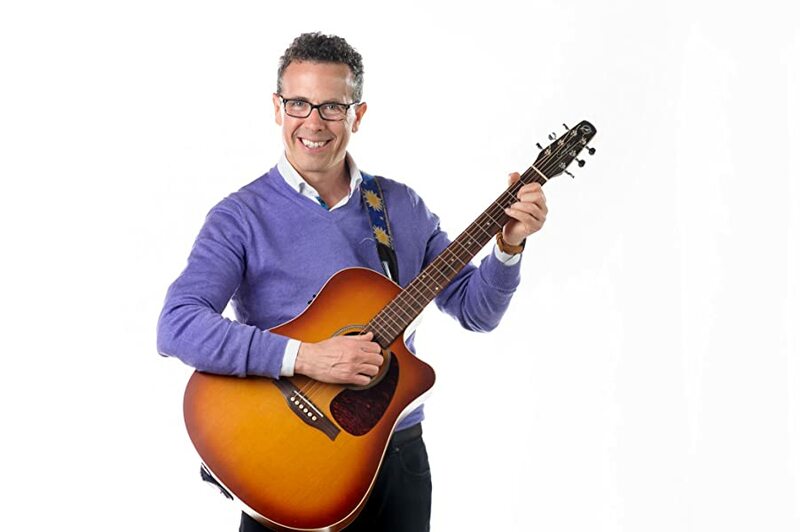 Pete the Cat is rocking along, singing his song... and this time he's at school! 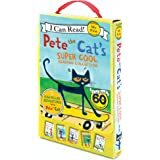 No matter where he goes, and even when he's in brand new places in a brand new school, Pete the Cat just keeps on singing. And what happens when he has to do it all again tomorrow? 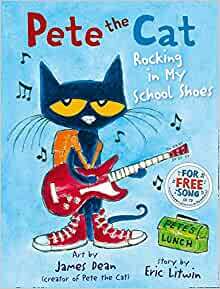 It's all good... Pete the Cat is a NYT bestselling character guaranteed to keep you feeling good, and with a free song, you can sing along too! 5つ星のうち5.0Helping an autistic 5 y/o love reading! My autistic 5 year old is FINALLY getting into books and reading, in large part because of Pete the Cat and the corresponding songs that go with these books! He now has this one as well as Wheels on the Bus, Groovy Buttons and I Love My White Shoes. The latter two are his favorites. All of them are just perfect though. They're short and easy enough for his limited attention span, he can memorize them easily and pronounce almost all of the words well enough to "read" it to me himself! I can't say enough good things about these books! 5つ星のうち5.0Buy ALL the original Pete books! This book is fantastic and my son loves this and all the original Pete books written by Eric Litwin, who as far as I’m concerned is the Beatles of children’s book authors. Your child will love this book and you will actually enjoy reading this 10,000 times a day. It’s got a great message for kids and the writing is lively and fun. There are call and response elements that are so fun to repeat with your child. Once your child is fully Pete-obsessed, do NOT make the same mistake I did and get suckered into buying the post-Litwin Pete books, however, as they are clunky and insipid. Instead, but Eric Litwin’s Nut Family and Groovy Joe books which are much closer to the spirit of Pete than the Magic Sunglasses, Missing Cupcakes or Cool Cat Boogie. My 2.5 year old son loves the Pete the Cat books. Wish they had a board book option, but hardcover helps. His teachers at daycare read these books to their class, so he came home asking for these books at home. Has not stopped reading them since (demands to have me leave one in his crib when I put him to bed, so he can try to read to himself). Check out the YouTube videos for the songs -- so cute, he sings them all the time. Is there anything better than Pete the Cat? My pre-K students with special needs love this cool dude. He's just so laid back and ready to handle anything that comes his way. It's such a great lesson to teach my students and this is the one I use to start every school year. My grandson loves Pete the cat and really surprised to get them in the mail! They are his favorite go to bed books! !